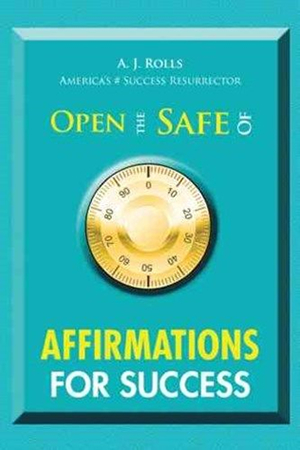 AJ Rolls has provided you self-empowering success affirmations. Success affirmations speak to and command the elements of the universe to give you what to say. We are reminded in and by the Bible to "command you me." When you make verbal commands, you are activating the law of cause and effect. In the beginning, God said, "Let there be light..." and light appeared. God used words to command the elements to form the universe, to form earth, and to form you. You have been empowered to speak the word and get the result-in that, you are part of this universal power expressed in the physical form.